BioServe is a leading pharmacogenomics company with operations in the US, India and Europe. Prior to investment, the company was based in Washington, and was looking for venture funding to expand into India. Ventureast clinched the deal by offering a term sheet with a better value proposition than those of other venture capitalists who proposed to invest, and by the testimonials of other investee companies. Post investment, Ventureast has helped the company in starting Indian operations by setting up infrastructure, procuring licenses, hiring key R&D and management personnel, and by providing insight, direction, and leads to penetrate the Indian market. Ventureast also helped Bioserve forge collaborations with diagnostics chains to distribute its molecular diagnostics services, and helped it acquire one of the world’s largest tissue repositories which provided access to quality clinical tissue. 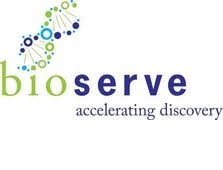 BioServe is the first company to integrate genomic technologies, the world’s largest private multi-racial tissue repository, and low-cost Indian operations. It has moved up the value chain from being a pure genomics company to a pharmacogenomics player catering to industry leaders. The company’s multi-gene diagnostic kits address cancer, cardiac disorders, and diabetes, and customers include global leaders in academia and industry like NIH, NCI, MD Anderson, Johns Hopkins, GSK, Merck, Novartis and Genentech. In 2014, Ventureast exited from Bioserve India and Bioserve US separately with BioServe India acquired by NASDAQ listed Cancer Genetics in an all stock deal and BioServe US acquired by a listed Japanese company in an all-cash deal.